Highlights: Ancient Stone City , Stone Carving Park, and special oyster houses. 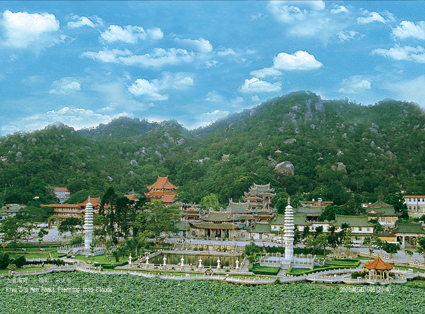 Chongwu Ancient City, located on the southern tip of Chongwu Peninsula, Fujian Province is a national heritage conservation unit of China. 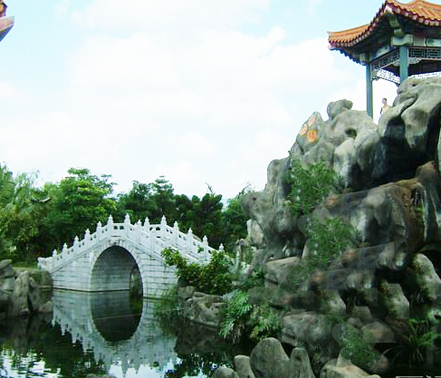 The Chongwu ancient city wall is one of the seven ancient city walls in China. The granite walls are around 2.5km long and average 7m in height. Scattered around the walls are 1304 battlements; there are 4 gates into the city. The town wall was built in 1387 by the Ming government as a front line defense against marauding Japanese pirates, and it has survived the last 600 years remarkably well. 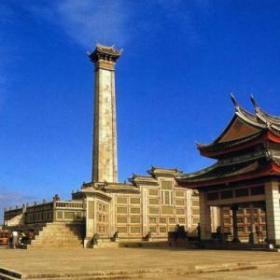 Koxinga also took refuge here in his battle against Qing forces. The surrounding area is full of stone-carving workshops. 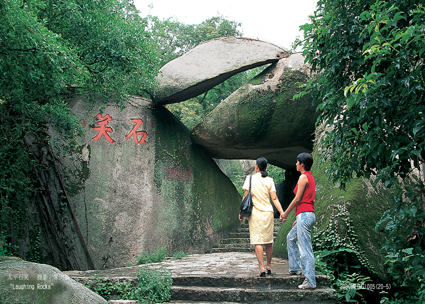 The Stone Carving Park: Stone carvings are the oldest known works of representational art. Stone has been used for carving since they’re easier to be found and more durable. 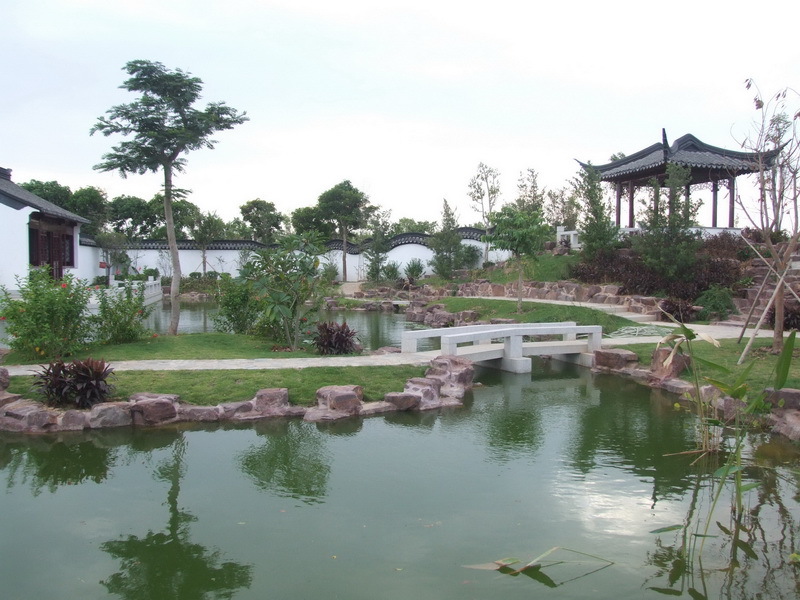 The park was built on the coast taking an area of 9 hectares. 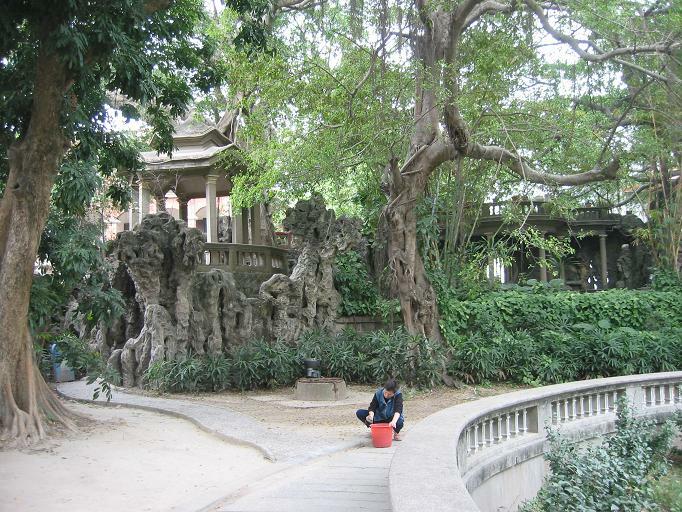 The stone carvings are created under varied subjects with profound meanings, including characters in Chinese classics. 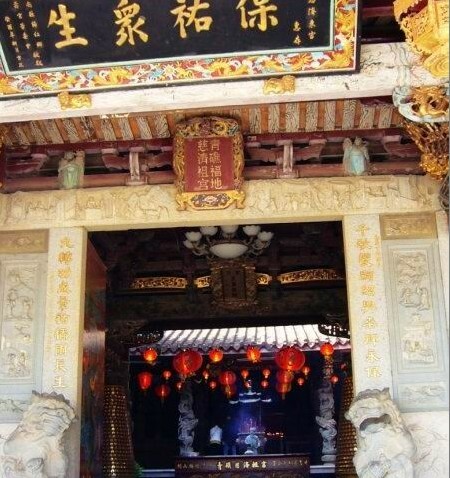 They show charm of the nature combining history and culture of both Chongwu and China. 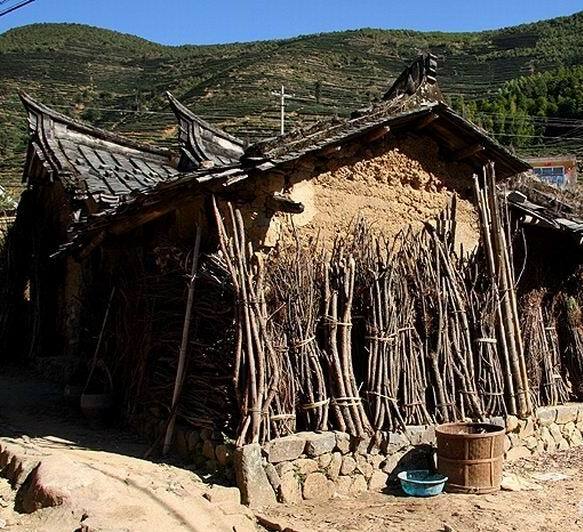 Oyster houses in Xunpu: Gekecuo houses have a long history which can be dated back to the Qing Dynasty. 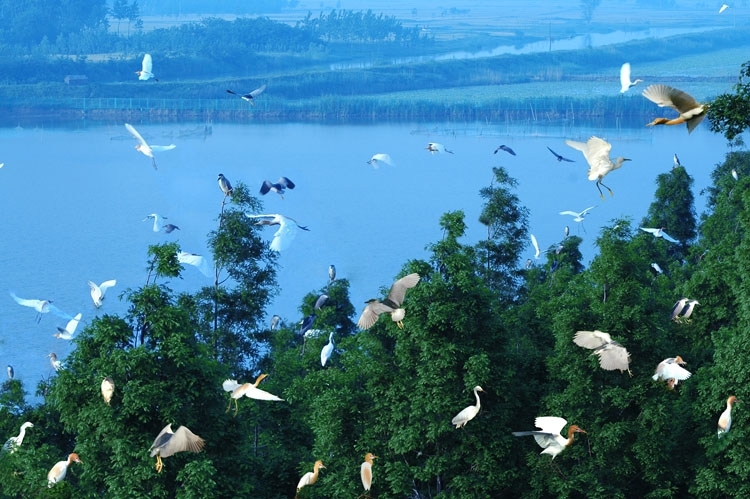 They are of high artistic value and only scattered in Xunpu Village, Quanzhou. Oyster houses in Xunpu: Gekecuo houses are covered with big oyster shells. Unlike the shells in local areas, the shells on Gekecuo houses are bigger. According to the instruction of some experts, those shells are from Africa. To build an oyster house, people should design the house shape firstly, and then choose proper shells, which should be classified and washed later. A well built wall of a Gekecuo house looks like strictly ordered fish scale. It is really a wonderful work of human's effort and intelligence. 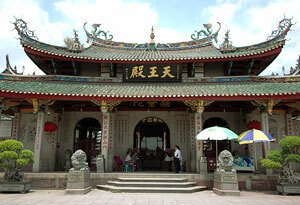 2) Take a 2 hours drive to Chongwu Ancient City. Lunch: Dine in a nearby restaurant. 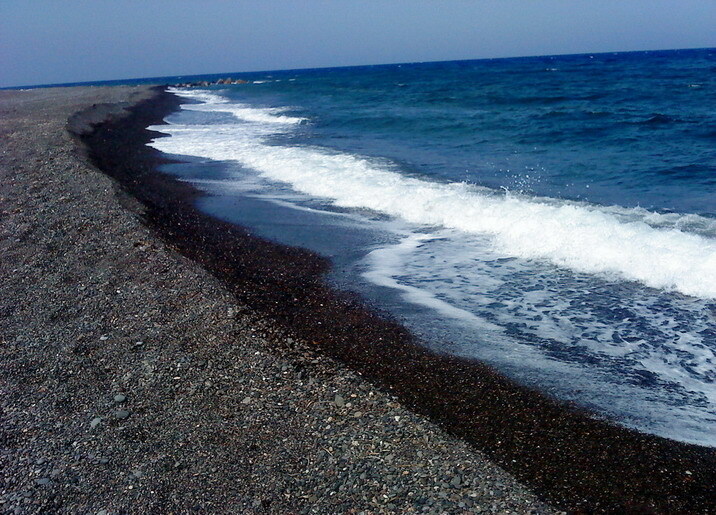 2) Take a 1 hour’s drive to Xunpu Village. 3) Visit the oyster shells houses in Xunpu Village. 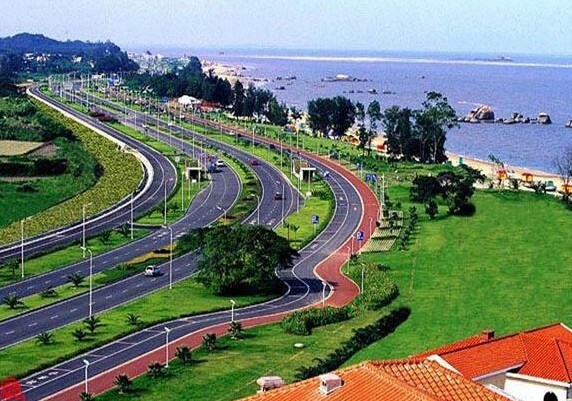 4) Arrive in Xiamen at about 19:00.